The embattled National Democratic Congress (NDC) Northern Regional Secretary, Sualisu Be-Awurebe has stated that the party’s hoodlums who allegedly attacked him recently stole GH¢20,000 and iPhone X from his vehicle. 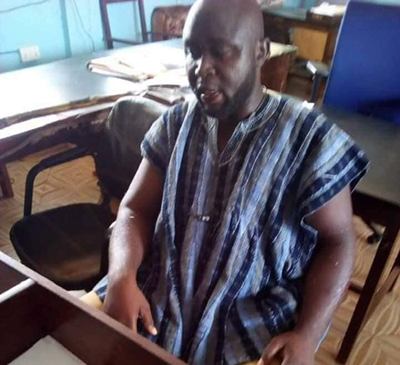 According to him, the NDC youth attacked him with cutlasses and other implements in the presence of the Member of Parliament (MP) for Tamale Central, Inusah Fuseini and some party executives. Sualisu Be-Awurebe made this known in an interview with a Tamale based radio station, Diamond FM. He indicated that they also damaged his vehicle. “They attacked me with cutlasses and weapons and dragged me to my car and took my iPhone and GH¢20,000’. The Northern regional secretary said he had presented names of the suspects to the police to assist in investigations. It would be recalled that a group calling itself ‘Aljazeera’ boys and affiliated to the opposition National Democratic Congress (NDC) on Saturday attacked Sualisu Be-Awuribe and other party executives in Tamale. According to reports, the group attacked some constituency chairmen, who were holding a ‘secret’ meeting organized by Be-Awuribe at an undisclosed location in Tamale. The regional secretary, who was subjected to severe beatings, bled from the mouth and nose. According to reports, the attack on the party secretary angered his supporters called ‘Aluta boys’ who also stormed the office of the regional chairman, Alhaji Ibrahim Mobila to destroy windows and some items. A flat-screen television set and other items were also stolen from the office of the regional chairman. There have been skirmishes between the Northern Regional Chairman of the NDC and the secretary for quite some time now.